Selected as Party of the Day on October 21st! Hi there! On this last Saturday we celebrate the fourth anniversary of Bernardo and the theme of the party was Mad Scientist Party! My husband is a teacher at a university laboratory, so I decided to make a tribute to him. 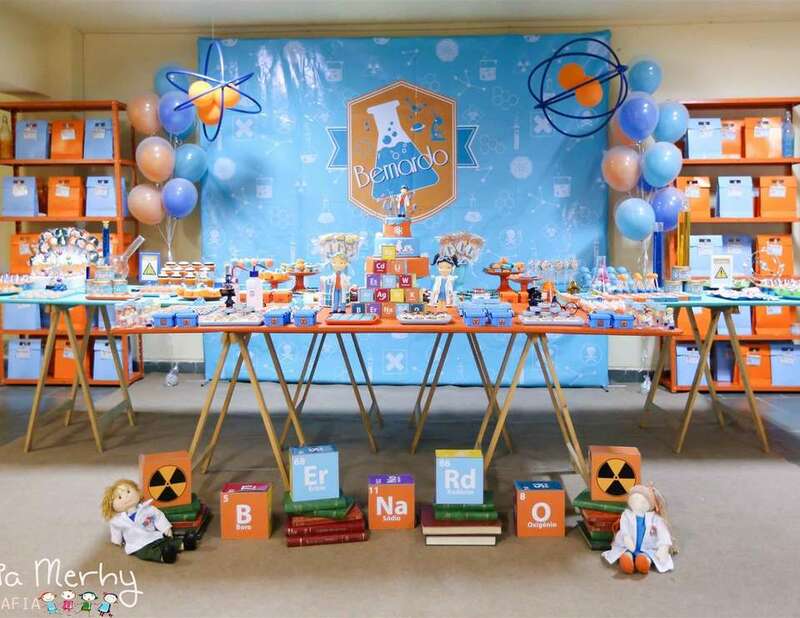 The proposal was to introduce children to the world of science and the response could not be better, everyone loved! Many experiments were done and the party became a big lab! It was so much fun! the kids went crazy, LOL! My son was very happy with his party and for moments like these every effort pays off. It was a memorable day that deserves to be immortalized on this blog so inspiring! At last but not least, these are the friends who helped me once again to do it all.